Seoul to Los Angeles was about a twelve hour flight. Upon arrival, I spent four hours roaming LAX’s terminals and two hours hopelessly seeking a restful nap. My mental acuity diminished further on a bumpy five hour flight to Miami. Thanks to a shortened layover spurred by an approaching tropical storm, my brother and I pushed on to South America. Twelve hours later, El Alto, Bolivia welcomed us, exhausted and jet-lagged. Our lungs breathed in the scarce oxygen at 13,300 feet, as we set off for La Paz. During the next five days, we stammered out what little Spanish we could muster, acclimatized, hydrated, and overcame a severe bout of food poisoning before setting out to ascend our objectives, Pequeño Alpamayo and Chachacomani. Our expedition was a trip of a lifetime and yet very little about it would prove to be physically comforting or easy. Many have asked why we planned such a tough and multifaceted vacation? Why I flew so far for this rocky objective? My response has been simple. If something is important to you, you’ll find a way to make it happen. Climbing mountains and exploring the world have inspired Adam and I for years. 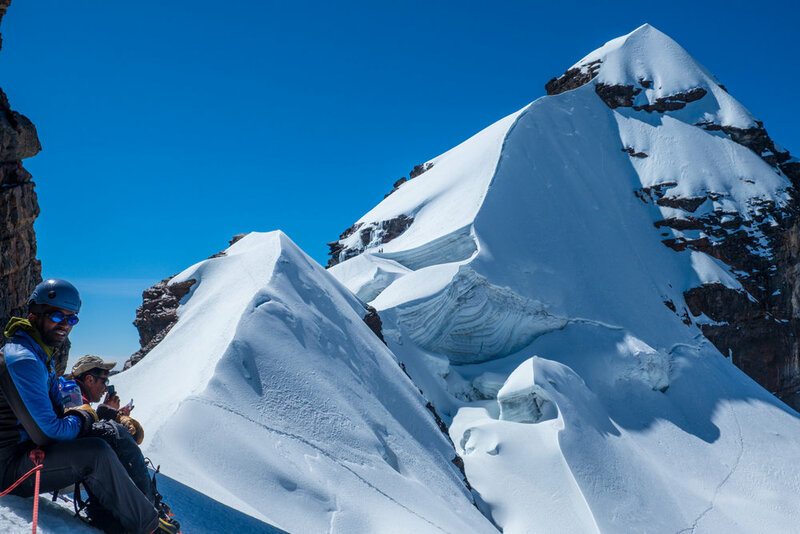 Climbing in Bolivia had been a personal goal since we learned how amazing it was from our friend Chris, a Canadian engineer turned nomad we met in Belize. Adam and I both understand that time is precious and opportunities are few. You’ll never know how many more chances you’ll have to explore with the people you love. This is one of the reasons that I enjoy mountaineering. Learning this sport hasn’t been easy, each trip offers a myriad of challenges. But with each challenge comes a new opportunity to grow and improve. Looking back over the years at how I’ve grown as a climber and as a man, I wish I could have imparted several truths to my younger self. As someone who climbs mountains and happens to be black, these ideas have helped keep me focused in world where this combination is rare. I wish I understood at an earlier age that your interests and passions are yours alone. Don’t feel the need to fit perfectly inside a mold. Believe me, this isn’t always simple but in life, the best things rarely are. Challenging social norms and stereotypes isn’t easy but neither is awaking at one o’clock in the morning to capture a summit during the night’s arctic hours. Finding friends that are as passionate and as willing to spend the time and money to perform the sport safely isn’t always easy, nor should it be when you sit back and contemplate what your hobby actually entails (“Let’s wake up early, on our day off and climb during the coldest part of the night, does that sound fun?”). It’s no wonder that the alpine environment can at times seems so esoteric. It doesn’t matter who says it but learning to constantly respond tactfully to, “wow, you sure do like a lot of white people sports," can be annoying and discouraging but it takes time to break down self-prescribed social shackles (insidious and rarely confronted within the black community) and externally bestowed stereotypes (more well known and just as harmful). Every time someone makes a statement like this, I use it as a moment to instruct and help reveal their flawed narrow mindset. Just like you didn’t grasp the technique for skiing bumps overnight, some of your family members and peers may not grasp the fundamental truth that your inspirations and hobbies are yours alone and not dictated by the culture or the media. If you have even a small interest in stepping out of your comfort zone and trying out a new and challenging skill, do it! That thing that people didn’t expect you to like might just become something you love. You only have one life, don’t allow others to dictate it. 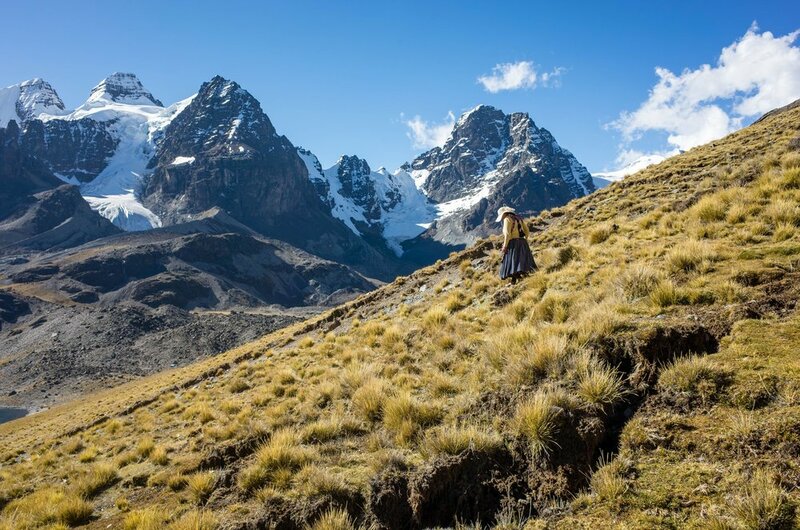 While you’re at it, add the beautiful Cordillera Real Range of the Bolivian Andes to your bucket list, you’ll be glad you did.